KDU’s Language Center (KLC) is a specialized educational institution of Korean Language and Culture. The programs are well organized to improve the listening, speaking, writing, reading, and grammar skills of the students. 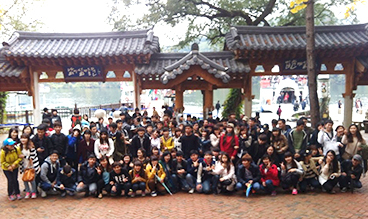 It provides diverse cultural exposure of Korea and other countries. The Instructors are Korean language certified with in-depth knowledge and skills from their many years of teaching. The Center is fully equipped with facilities, beautiful and homely campus environment to meet the students learning style. Student's Korean language proficiency level will be considered for class placement. TOPIK level will be used for class placement. The student learned 800 basic words and grammar. The student developed the survival Korean skills such as, personal, shopping and restaurant related concerns. The student learned 1,500~2,000 words expressed both in speaking and in writing paragraphs. They can perform conversations in telephone and in public service related conversations. The student can speak Korean Language easily, use public facilities, maintain social relationship, and write social issues in paragraph. The student understands Korean culture, watch TV, read and understand newspaper articles and abstract materials, used idioms, social and cultural expressions. Programs offered by Kyungdong Language Center include Korean Language and 'Beauty' Course, and Korean Language Teacher Training Programs. This program teaches forefront Korean style skin care, hair design, make-up, image making, and fashion coordination. This is a practical learning experience of the Korean language with beauty skills. This is a student centered learning program based on student's interest, thus it guarantees that you will never get bored in attending this class. 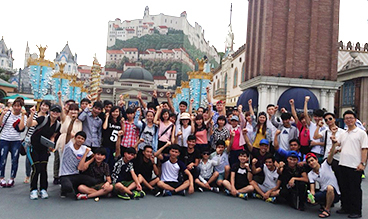 Special events (such as cultural experience, factory tour, visit to tourist attractions, etc.) will be held once every semester. Attendance rate of 70% or higher. Taken and passed two (2) major examinations: mid-term & final-term. Attendance is important and mandatory in language programs. Students are required at least 70% or higher attendance rate in order to learn the most from their programs. There are 2 exams per term; mid-term and final-term exam. If a student misses or chooses not to take the tests, they can't advance to the next level.